Attension Theta Optical Tensiometer for Topography applications is ideal for studying microscale roughness. Many surface modification and coating technologies that are used for optimizing wetting and adhesion properties influence both surface chemistry and roughness. Understanding the mechanisms that impact wetting by separating these two factors is a useful tool in product development processes and in quality control. Wettability is typically studied by a contact angle measurement that can be defined with the well-known Young equation on ideal surfaces. Surface free energy theories are also based on assumptions that Young contact angles are used for calculations. Thus, the surface is assumed to be chemically homogeneous and topographically smooth. This is, however, not true in the case of real surfaces. It is well established that surface roughness enhances the existing wetting behavior and influence on adhesion. In many applications surface coating and modification influence on both chemical and roughness parameters. 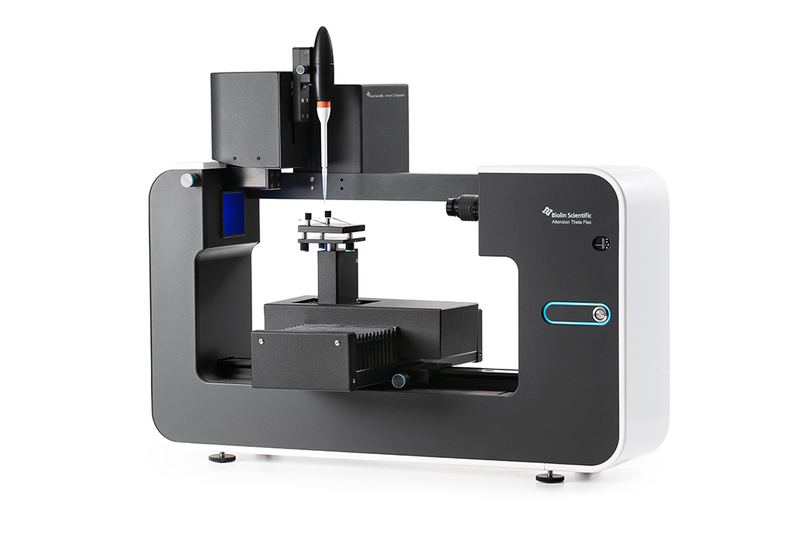 Optical tensiometry combined with topography module enables to inspect and separate influence of these two factors to wettability and adhesion. Unique feature offered only by Attension.